Read More about CCHS Music Students Soar in Solo Performances! Carbondale Community High School was recently named one of America's best high schools for 2018 by U. S. News and World Report. This is the 7th consecutive year that CCHS has achieved this honor. You can see U. S. News and World Report's complete summary by clicking here. 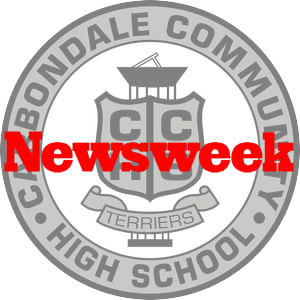 CCHS was named one of America's best high schools by Newsweek. You can read Newsweek's findings here.